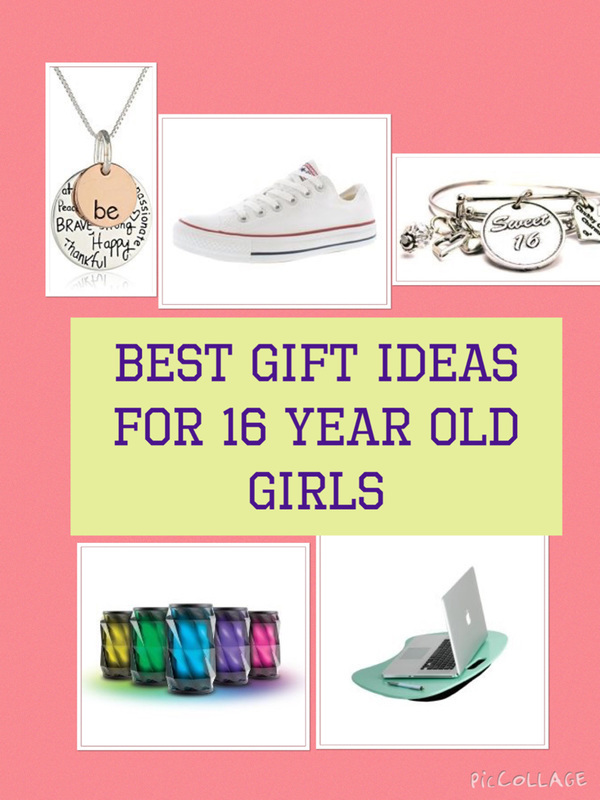 20 Fun Gift Ideas for a 14 Year Old Girl to Light Up Her Birthday or Christmas Day! I'm sure most 14 year old girls will admit they are hard to buy for.. We all know that they would probably like a Macbook Air or an iPhone, who doesn't? But for the majority of us, this isn't in the budget. This article give lots of ideas of gift ideas which will suit different budgets and personalities. 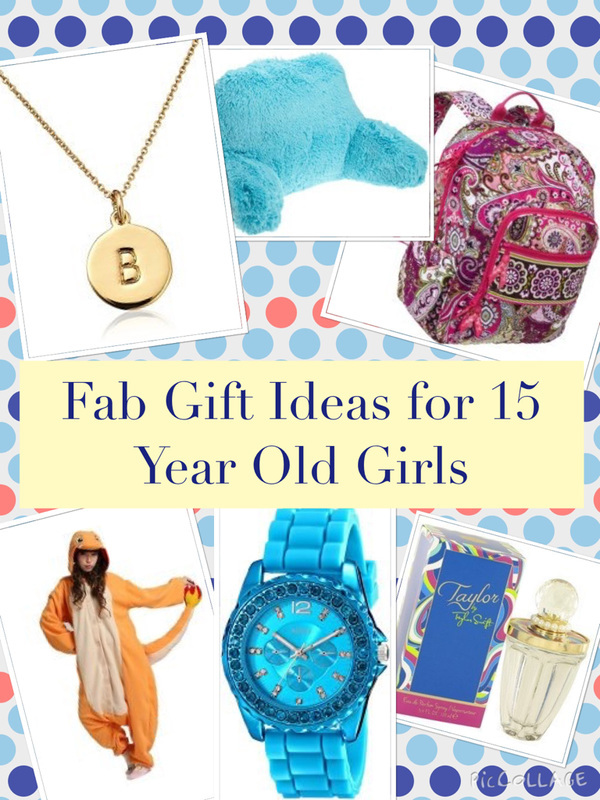 So if you're in the difficult position of looking for a gift for a 14 year old girl, here is some help to find the perfect gift. 14 year old girls will more than likely be spending a lot of time in their bedroom and many like to personalize it and make it comfortable. New lamps, cushions, blankets, bedding, curtains, candles, LED string lights, rug, wall plaques, bean bag and other items can also make nice gifts to help her personalize her room. A wooden photo frame with a photo of her and her friends that will match the color of her room will often look good. A bed rest is a fab gift for a teenager. They can get back support while looking at their laptop and sitting on the bed, couch or on the floor. They can also use it for back support while watching television, reading a book or looking at their cellphone or other device. It's easy to transport from room to room. They come in different colors to match different room decor. This is a light up bluetooth speaker to have in any teenage bedroom. It has a bluetooth speaker compatible with most cell phones, tablets and computers so she will be able to stream her music. The lamp has 6 different color-changing themes. You can choose any color you love or let it change or oscillate automatically. It's also easy to carry everywhere, suitable for indoor and outdoor, party, travel, sport, camping and more. A lapdesk is a fab gift while she is studying. It will help give her the flexibility to do her homework where she likes as she can rest it comfortably on her lap. She can use it while sitting on her bed, chair or on the couch. She can use it with her laptop or use it to lay out her homework or other study work. If she likes to have lights and eye catching decor in her room she will love a light up letter. Perhaps she could have her initials or a word she may like to display. You can stand them up on a flat surface or hang them on a wall. The give a nice glow at night time. The letter lights are a vintage style and really do look good in a bedroom. Most 14 year old girls would love clothes - but it's probably best not to buy them yourself! Take her to the mall for a shopping spree or send her a gift card for her favorite store and you can't go wrong. The action camera is is great for action based shots and video. A good gift for the sporty girl, take it swimming or snorkelling (can be used in the water), use it to film skateboard footage or whatever she pleases. It is also fab for using to take video at concerts or wherever you like. It has stunning video quality. The camera is super small, ultra portable a easy to pack, carry and use too. It's also easy to mount onto a helmet or piece of sports equipment using one of mounts / equipment. 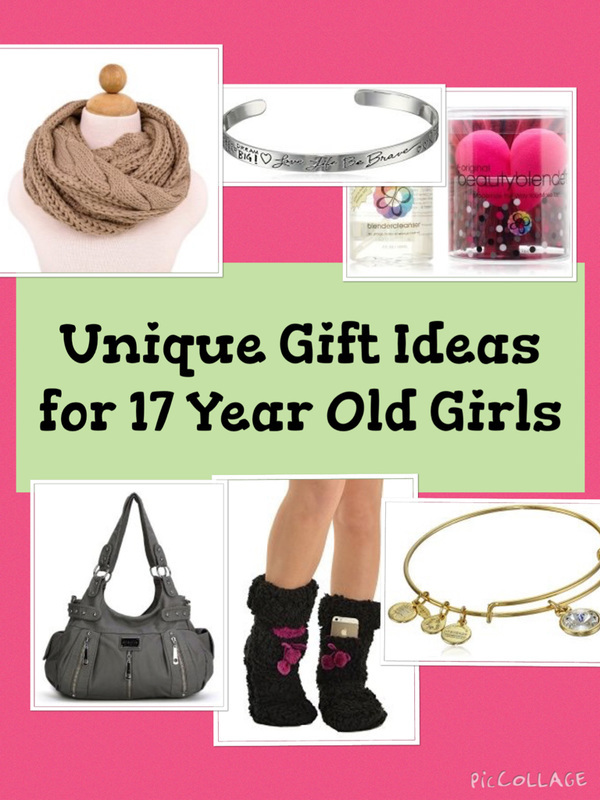 There are lots of cool accessories that you can get 14 year old girls. It's stuff that is practical but can look cute too. Ideas include backpacks for school, overnight bags for sleepovers at friends, sunglasses, umbrellas, gloves, a beanie hat, scarve, texting gloves, funky socks and cute slippers are some ideas. Do you worry about the 14 year old you know losing her phone or money. If so, this will make a fantastic gift. This really cute purse can be worn across her body and is great for holding her cell phone. It is quite spacious. It has external compartment and zippered compartment, which can hold money or cards . It could also item items including her phone or keys, money, cards, wallet, headphones, passport, tickets, cash, credit cards. The purse is excellent quality and features beautiful lning material to avoid friction to the phone and causing any damage. ​The one featured has a dragon fly design but there are many other colors and designs to choose from. Vera Bradely backpacks are very popular with teen girls and you can see why when you look at all the vivid colors and patterns available. This is cute wallet which she will be able to carry her phone, money and any cards that she may have. Ther are lots of other cute designs that she may like of the same wallet. It has a spacious interior and features 6 card slots (credit card sized), a cash compartment and zipped coin pocket. It could hold an iPhone, keys, cards and money. All the essentials you need in one place. Consider making her a little goody bag filled with bath stuff, hair items, perfumes, body sprays, nail polish etc. A goodie bag is also a great option to accompany a gift card or money. If they already have a tablet or a phone, consider getting them some accessories to go with it. Ipad or iphone covers, earbuds or a selife stick. If they like their phone (any many teen girls this age are addicted to texting their friends) consider buying her a voucher so she can buy phone apps or give her some extra minutes or texts for her phone use. Or you could upgrade the phone she has to a newer version. A new phone case for her phone is often appreciated. Liquied glitter phone cases look fab and they make lovely gifts. They really catch your eye as the glitter moves. It's not only glam and pretty, it will protect her phone too. You can access all the buttons as they have cutouts in the case. It comes in different colors so you can pick one that she will love. If she is out and about a lot with her friends, no doubt she will enjoy taking selfies with her phone. If she hasn't already got one, she would love a selfie stick. The selfie stick featured folds up compactly (7.1 inches when in storing length) so she can take it with her in a bag or a pocket. The full length is 31.5 inches. It features built-in Bluetooth remote control & great battery. It's super simple to use, just turn it on, pair it with smart phone via bluetooth and then snap. There's also a wrist strap to help provide some extra security for the selfie stick and the phone. Inexpensive too - would make a fantastic stocking filler. This is really useful as she doesn't haven to worry that her cell phone will run out of battery. And neither do her parents. It gives everybody peace of mind. The lipstick shaped phone charger is small enough to put her purse or bag. It can charge her phone at least once so she will have plenty of battery. It takes about 3 to 4 hours to recharge. There are lots of cool hair accessories that 14 year old girls will love. Hair ties, hair brushes, hair products such as shampoo, conditioner, leave in hair treatments and hair chalks are all fun accessory gifts. If they don't already have their own hairdryer this can make a nice gift. You can get all hairdryers in all kinds of funky designs. There are obviously lots of hair tools that she may love too. Flat irons, curling irons and wavers are all some ideas. For a young teen, I like the straightening brush below. This is a fantastic hair tool for any girl or woman's collection. It's a brush which heats up and straightens your hair so you can ditch the traditional flat iron. It heats up in less than 60 seconds. There are different temperature settings and it's easy to monitor the temperature. Simply split your hair into sections and brush through the hair to straighten it. The high quality ceramic iron teeth ensure the hair is not damaged. It also features a 360 degree swivel cord for zero fuss when styling. Girls this age love to be given a little independence. An outing which has little involvement with parents could be a hit. One idea is to give the girl in question a cinema voucher for her and her friends to go and see a movie of their choice. Many teen girls will be able to take photos on their cell phone but if they want print outs of photos they take they will love this Instax mini 8 instant film camera. It allows you to take photos and print them out. The photos are around credit card size but are perfect for little memory books, putting on noticeboards, keeping in your wallet, scrapbooks, making collages and lots more. The camera is small and lightweight so it's easy to take around and take photos when you want to. Great for capturing pictures at special occasions, parties, days out or just to have some keepsakes of you and your friends. If she loves a particular music band or artist there are lots of merchandise and other gifts you can get. Some ideas include a band t-shirt for her to wear. Tickets to see them in concert. Or other merchandise such as calanders, DVDs and posters. Some 14 year old girls like to experiment with make up if their parents let them. There are some nice make up kits for teens. If they've just started wearing make up they may want to have something a little more natural. Lip glosses sets and eye shadow sets are simple make up gifts to start with. The Shany make up set below is fantastic for experimenting with. This is the perfect make up set for a teen girl to have fun experimenting with. It features 48 highly pigmented eyeshadows (mineral oil based), 4 prime cheeky blushes (mid orange to dark pink), 2 face powders which can also be used as color correctors and 4 double sided applicators for blush and shadows. It has been designed by makeup professionals and most importantly this product was not tested on animals. ​This is a really cute gift set for a teenage girl. Bath bombs are a popular gift with young teenagers. They are great to help them relax and pamper themselves. Many teens like Lush bath bombs but they can be expensive at around $7 a bomb. The bath bombs opposite is also a great gift and as they come in a set they are great value for money too. It contains 12 uniquely hand crafted bath bombs which are moisturising and therapeutic. This is a fun game for a sleepover or to play with family. You spin the spinner and take a bean with the same color that the spinner lands on. The problem is that you could get a nice flavor but there are lots of disgusting flavors too. The flavors include one such as stinky socks or tutti-fruitti, booger or juicy pear, moldy cheese or caramel corn. This game is fun and girls will be talking about it for weeks after they play. It might put you off jelly beans for life though. Obviously girls this age are at school and will be having do to some homework so items that will facilitate this will be a great practical gift. Diaries, pens, journals, scrapbooks and stationary sets are some great ideas. But if you want to keep up to date with new technology in the digtial age consider a novelty USB (you can get USBs that are also pendants so you wear them round your neck as a piece of jewelry and always have them to save your work when you need to.) Another idea for the digital age which will save some paper in the process, is a writing tablet like the boogie board below. The boogie board is a writing tablet and has so many great uses. Use it to do working out for homework, leave messages for other family members on the tablet, write lists (adults quite often use it for writing shopping lists), and use it to take phone messages. Aside from this it can be used for entertainment purposes, use it in the car for some doodling, draw pictures or to write your thoughts. Once you've finished with your notes, just press a button to wipe the slate clean. And it's ready for it's next use. Some 14 year old girls might not be so keen on books but actually there are lots of books that can be given as gifts that 14 year old girls will love even if they haven't previously thought of them. Ideas include getting them books on their hobbies or celebrities that they like. There are some great fiction books by really popular authors such as John Green who has had many of his novels made into movies. A John Green box set is another idea with books such as "The Fault in Our Stars" and "Paper Towns". Or what about an inspirational or informative book. There are books specifically aimed at teen girls. Check out one below. This books is perfect for young teen girls. There's lots of advice on how to live through the teen years being confident and smart. In today's world teenage girls have to live under all kinds of pressures from getting good exam results, to dealing with boys and coping with friendship issues and cliques at school. This book helps girls counteract these and other pressures. It's an empowering book and as well as some excellent advice and information there are sections which girls can fill in and journal their thoughts and experiences. An interesting, positive and powerful book. Being a teenager can be tough. This book is full of wisdom and advice to make the journey a little bit easier. It covers all kinds of relevant topics which include improve self-image, build friendships, resist peer pressure, achieve their goals, and get along with their parents, as well as tackle the new challenges of our time, like cyberbullying and social media. It's written in a style that teenager can easily read and relate to with cartoons, illustrations. diagrams and humour all included. There are some great jewelry pieces you can buy for a 14 year old girl. Some ideas include mood pendants where the color of the pendant changes, a necklace with her name on or a pendant with the initial of her name. charm bracelets, simple silver bracelet, cuff bracelets and inspirational jewelry like the pendant featured. The sterling silver necklace eaturing two-piece pendant with "be" engraved on rose gold charm and "Kind, Free, True, Brave, Strong, Happy, Thankful." It has a lovely message for a 14 year old girl just starting out on the adventure of life. Also if she already has a lot of jewelry, a jewelry organizer is another great idea. This is a really cute bangle bracelet for a 14 year old girl. The bracelet is expandable from: 2" to 3.5" which allows for a customized fit. It comes in either a silver or gold finish. The best thing about it is that 20% of the purchase price from each Daisy Charm sold will go to support of UNICEF's mission to help all children survive and thrive. Sporty teen girls can be fairly easy to buy for. Some ideas include sports gear for their preferred sport (soccer ball, volleyball, pads, etc). Or just some sportswear such as leggings, sports tops or trainers. 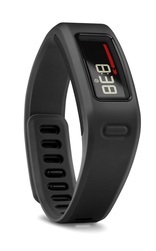 A sports gadget like the sports watch or a fitness band. The Garmin vivofit fitness band is a fantastic gift idea for a teen girl who would like to get fit or is already a keen fitness fanatic. It's a great gadget to keep reminding it's user to keep moving throughout the day. The way it does this is through the move bar. It motivates you to be active throughout the day by displaying a red move bar after one hour of inactivity. Additional segments light up for every 15 minutes of inactivity too. It's water resistant and the band can be worn 24/7. - learning your activity level and assigning a personalized goal each morning. - It records calories burned throughout the day including base metabolic rate. - Tracks sleep - Set the sleep mode when you go to bed to track the quality of your rest. Many teen girls do love video games and a bit of investigative work may reveal what she likes to play and the games she would love. Just Dance is a pretty safe bet for a teenage girl if she doesn't already have it. It's lots of fun and great when friends come round and for sleepovers. She can have fun dancing to some of the hottest songs featuring 40 hot tracks from chart-topping hits to family favorites, including "Havana" by Camila Cabello, "Bang Bang Bang" by BIGBANG, "No Tears Left To Cry" by Ariana Grande, and many more! If in doubt, a gift card or money is always 99% of the time going to be appreciated. If you think it's a little impersonal, there are some great ways to give money or a gift card. Think about teaming it up with a very small gift, perhaps some make up or a pair of ear buds. Then she will have something to open but it won't matter if she's not that keen as she'll have something to spend as well. It's not too easy to crack but not too difficult either so it is the perfect challenge for teens to get their hands on the money or other small gift that you have put inside. After use, the gift can also be used as a money saving bank as well.